Owning real estate has its ups and downs. While owning property can be a great investment, it can also cause stress and headaches. From the purchase of a home to the selling of a residence, there is a lot of legal documentation to sign off on that may be over your head. Instead of blindly signing on the dotted line, team up with a real estate lawyer that truly knows the language and the laws. Kallemeyn & Kallemeyn, PLLC is an affordable real estate attorney eager to partner with you and your real estate every step of the way. Let our team be a resource for you to make sure you are given the correct answers at all times during your next real estate transaction. Understanding Legal Language – No matter how simple your real estate transaction may be, pages and pages of legal documentation have to be reviewed and signed by all involved parties. 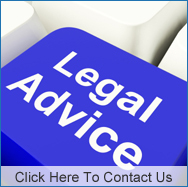 Offering purchase contract review, we will help to make sure that you do not get taken advantage of in any way. Purchase and Sale of Real Estate – We take pride in being a for sale by owner lawyer. Let us help keep more money in your pocket when selling your home. With over 17 years of experience handling purchases and sales of residential property, our attorney Charles Kallemeyn has seen it all. Development – If you are fortunate enough to own land that you plan to develop, there are a lot of things that you need to consider before jumping into the process head first. Our dedicated staff will take into account the regulations and laws around land development and make sure that you are aware of the entire project up front. Leasing – Dealing with tenants brings an entirely different dynamic to real estate. For landlords, making sure that a contractual lease is in place is vital to protecting yourself and your property. 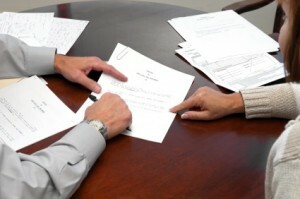 For a tenant, it is important to understand what you are agreeing to when signing a lease. We can help you on either side of the spectrum. By partnering with Charles Kallemeyn and his team, you will reap the benefits of a knowledgeable, respected, and hard working staff that puts your well being as a top priority. By spending over 50% of our time on real estate law, you will be working with real estate specialists that can handle any situation that comes your way. Take some of the stress around buying or selling a residence away by utilizing a seasoned real estate lawyer. Team up with Kallemeyn & Kallemeyn, PLLC today by calling (763) 427-5131.